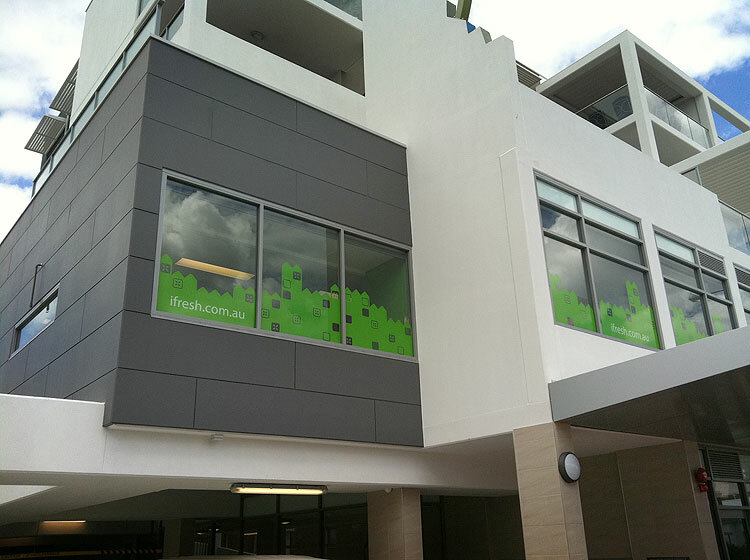 Posts tagged "Window signs perth"
A business’s windows are a blank canvas as far as signwriters are concerned. Why not make use of the available space and put window signs on your building? These windows for i.fresh Strata were the perfect way to advertise the business, especially as it’s on the second floor. Most window signs are placed on the inside to achieve a nice gloss level (from the glass), however if the windows are tinted it will need to go on the outside of the window to keep the colours true to your logo. Full colour, single colour, frosted sparkle – anything can be achieved, and our highly motivated team of designers and signmakers will ensure your window signs look the best they can. Head to our contact page and email us with the size of your window and a copy of what you’d like on it, and we’ll be happy to quote for your window signs.